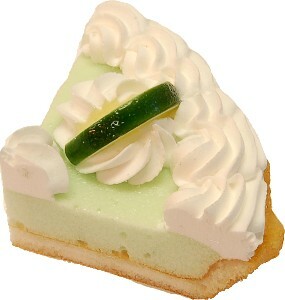 The key lime pie slice is amazing! It looks so real! I wish I would've ordered whole pie but wanted to see for myself how real this looked. Extremely pleased. Also ordered mojito drink and several cupcakes. Will continue to order from ur site and would highly recommend to others. Shipping was fast!